One of the least-understood appellations in Oregon Pinot Noir country is McMinnville. Many wine lovers associate it with the city of McMinnville, which is nearby but is not inside the American Viticultural Area that was approved in 2005. In fact, the McMinnville AVA is on a hillside west of town and is home to such vineyards as Meredith Mitchell, Yamhill Valley and Maysara. One of the classic vineyards in McMinnville that helps define the AVA is Hyland. 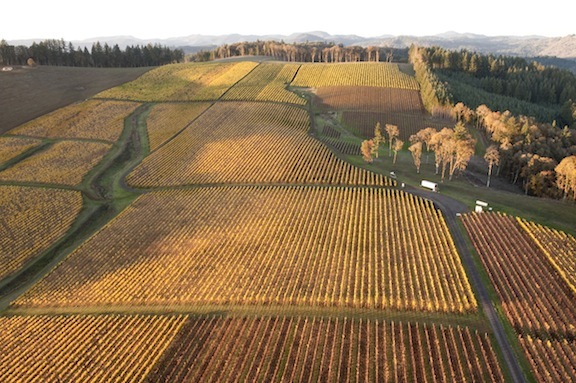 This 100-acre vineyard was first planted in 1971, making it among the oldest in Oregon’s northern Willamette Valley. Coury ended up returning to California in the 1980s to get into microbrewing and died in 2004, according to The Prince of Pinot. 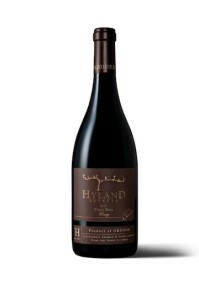 Coury’s version of Pinot Noir ended up being among the first planted at Hyland in 1971, and that original block remains today. Owner/winemaker Laurent Montalieu honors Coury, his contributions to the early Oregon wine industry and the special vines he left behind on the McMinnville hillside. In the late 1980s, more grapes were planted at Hyland, this time the Dijon 115 clone of Pinot Noir. Montalieu and his wife, Danielle Andrus Montalieu, purchased the property in 2007 with partner John Niemeyer, and now makes the first estate wines from the vineyard. They also sell grapes to such Oregon producers as Penner-Ash, Sokol Blosser, Coeur de Terre, Erath, Antica Terra and Tendril. 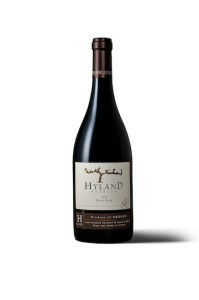 Here are three Hyland wines we’ve tasted recently. While the 2009 is sold out at the winery, the 2010s are on the market (as are the recently released 2011s).